Looking for a quiet weekend retreat? 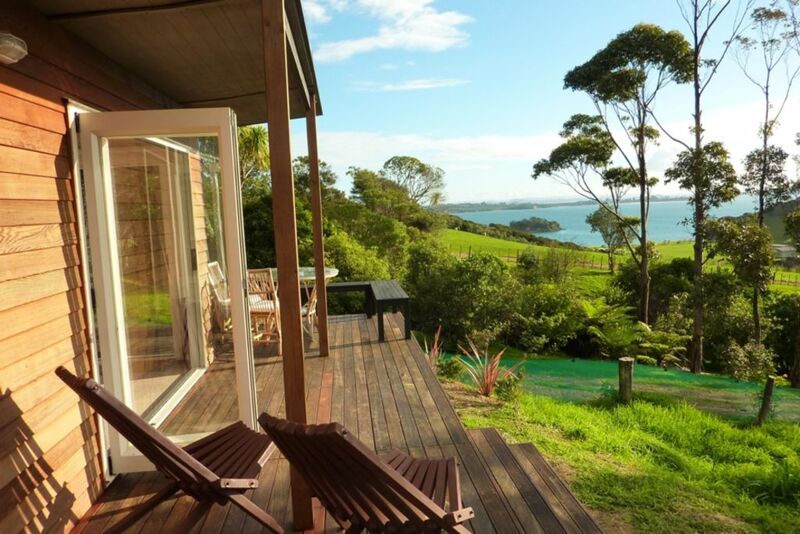 The Gorgeous Cabin is in a lovely peaceful setting, overlooks farmland and is orientated towards the distant city skyline with views to the water and Rangitoto. Wood pigeons, and Tui are frequent visitors and with three wineries within easy walking distance there are lovely experiences on your doorstep. The Gorgeous Cabin is ideal for two people wanting a quiet retreat but also able to cater for four people looking to keep costs down. It can be rented on it's own or in conjunction with the main house, the Gorgeous Inn, which sleeps eight. Two night stays are preferred however if only one night is required a surcharge is applicable. preferred then a surcharge is payable. I enjoyed my weekend at the gorgeous cabin. I booked the cabin as I needed accomodation for two couples for a wedding at Mudbrick vineyard and I was not disappointed. The cabin is directly opposite the driveway to the vineyard, so a quick walk home after the reception. The cabin also isn’t too far from Cable Bay winery (walking distance if you’re that way inclined). I would happily stay again. My niece and I spent three nights at the cabin last week and I can most definitely recommend this for accommodation. The two bedrooms, although small, were sufficient for our needs. What a lovely stay! Fantastic Bach, didn't want to leave! Great location, very neat and tidy with amazing views.